At The Spine Group, our casual environment will make your entire family feel welcome. Our friendly staff is ready to warmly greet you and make sure you’re comfortable. On your first visit, our efficient front desk team will have you fill out paperwork if you haven’t already completed it by finding it online. Then you’ll be brought back to our examination room for a thorough consultation. These tests will tell us if you’re a candidate for chiropractic care. We will take X-rays if they’re necessary. Your treatment will begin right away on this visit. Please plan on spending about an hour to an hour and a half with us. 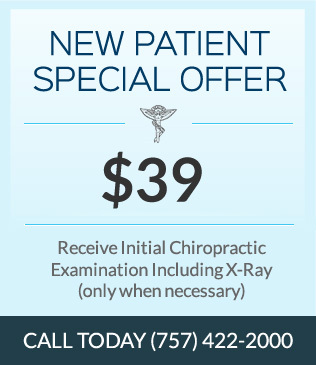 You will be taken back to the doctor’s office right away for a complete review of findings from the examination and X-rays. We’ll discuss treatment recommendations and draw up a plan that includes insurance coverage and payment options. You’ll be here for 45 minutes to an hour on your second visit. Your regular visits will be shorter and take about 10-30 minutes depending on your treatment plan. We have a minimal wait practice and will make every effort to see you promptly. Many people have heard they have to continue going to a chiropractor forever once they start. This isn’t true, especially not at our office. We’ll offer you the care you need. The length of time you decide to benefit from chiropractic is up to you. Our patients know they can feel their best if they get adjusted once a month or a couple of times per year, and many choose to do so. You’ll feel relaxed and ready to start your personalized treatment plan.